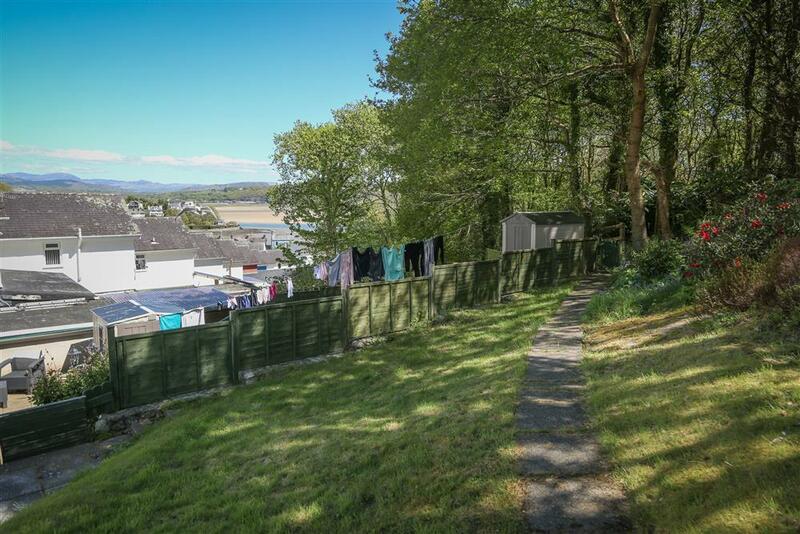 A very conveniently designed modern house in a sunny elevated position above the pretty village of Borth y Gest, 1 ml from Porthmadog. Furnished as a holiday home for those wanting a comfortable stay with today's conveniences. 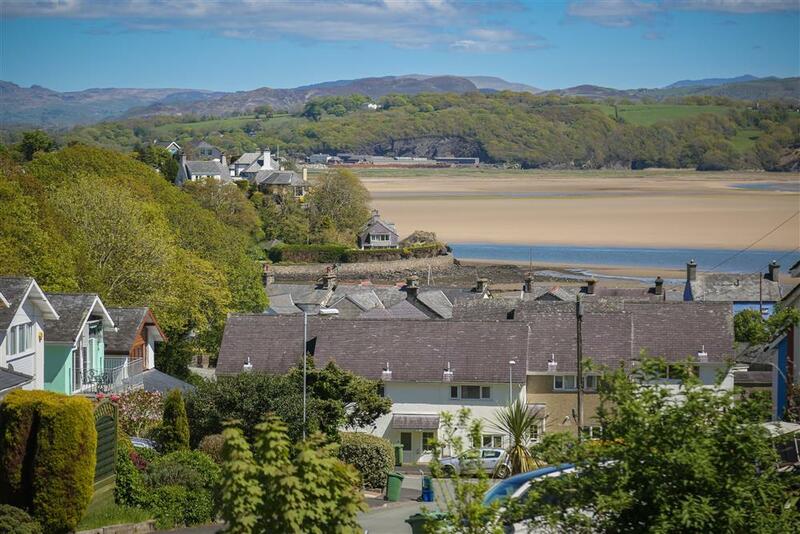 Borth y Gest is a quiet village, with a seasonal restaurant and tea room, surrounding a picuresque bay with views of Snowdonia. A few minutes walk along the coastal footpath from the house are some peaceful sandy coves. The large sandy expanse of Black Rock Sands is 2 mls by car. Porthmadog is a small town with a variety of shops, inns and restaurants, steam train rides, and leisure centre. 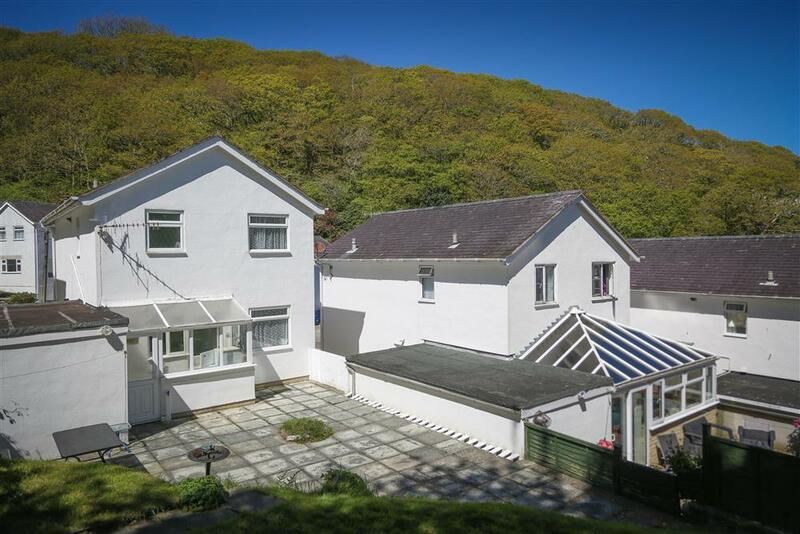 Portmeirion Italianate styled village is just across the estuary (2 mls), the mountain village of Beddgelert and Snowdon are within 10 mls. 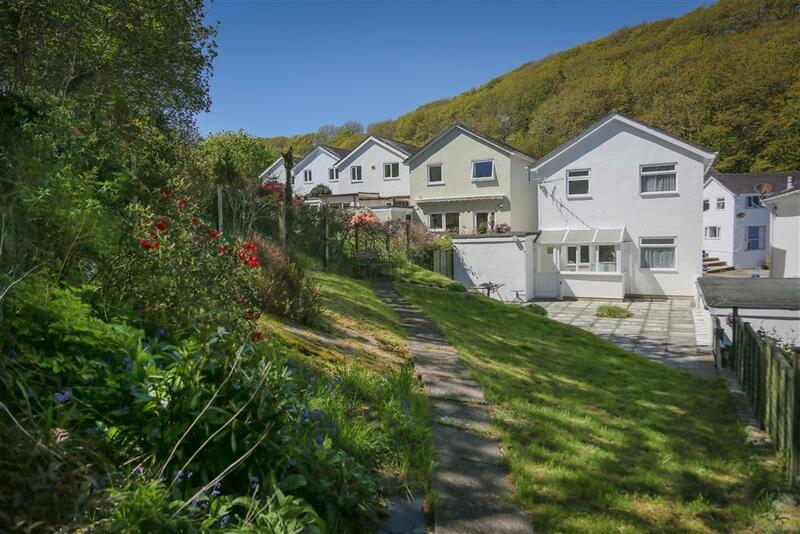 Excellent central location for a holiday property near Snowdonia, North Wales and the Llyn Peninsula. 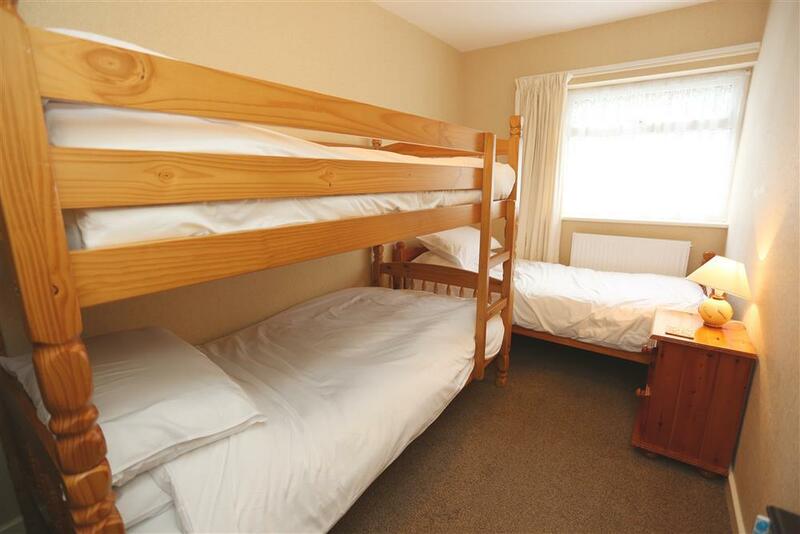 3 BEDROOMS: 2 Double bedrooms and 1 bedroom with a set of Bunks & 1 Single bed. Bed linen is provided. BATHROOM with shower over the bath, hand wash basin. Separate WC on 1st floor. KITCHEN/DINER with gas hob, electric oven, fridge/freezer, microwave, washing machine, dining table and chairs and one armchair. LOUNGE with 3 seater sofa, 2 arm chairs & 2 foot stools and flatscreen Freeview TV, DVD. 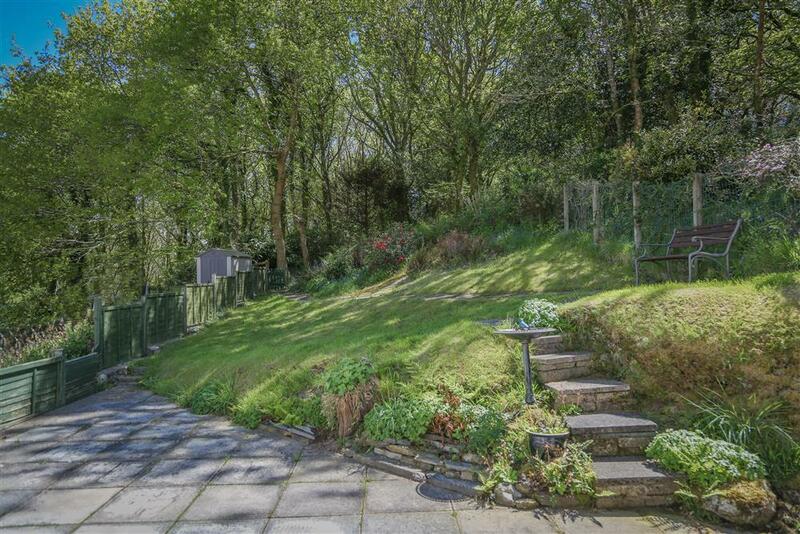 GARDEN: Enclosed rear garden with large patio area and access to the rear woodland. Lovely views across the bay. PARKING for two cars on private driveway. HEATING: Central heating inclusive. Electricity inclusive. Mini-break Rules for this Cottage: A mini-break is a holiday for less than a week and/or may start on a day which isn't the normal changeover day. This property owner will only accept mini-breaks at short notice - not more than 7 days before the starting date of the holiday. However, Christmas and New Year week can be booked within 56 days of the holiday. Dr T-S (July, 2018): "Excellent location. Old fashioned but homely. For the price, I would expect towels and a hairdryer included (to be comparable with other places we've stayed). Great to have kitchen essentials included though! Overall we enjoyed our stay very much." 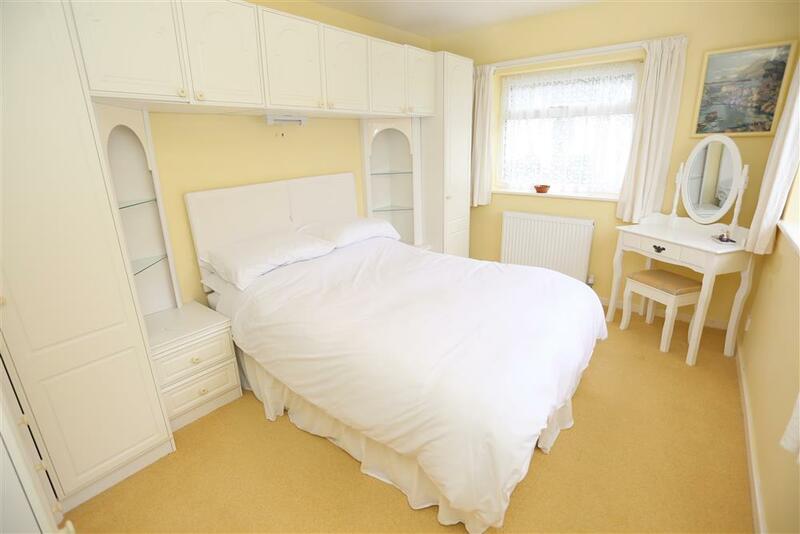 Mr & Mrs G (May, 2018): "Lovely, clean and comfortable accomodation with nice walks nearby." Mrs D (April, 2018): "It was lovely with stunning views"
A few minutes walk along the coastal footpath from the house are some peaceful sandy coves.